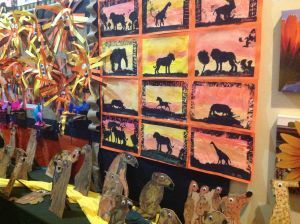 We love the arts at Surfside Primary School and showcase our visual arts program at the Fresh Food Fair and various open nights at the school throughout the year. 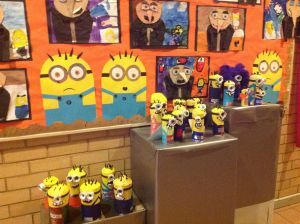 Our students' creativity is always on display in the main hallway where you'll find an ever-changing collection of colourful works from all grade levels. 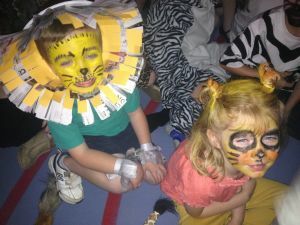 The Surfside school concert is held over two nights at the end of the term 3, with all classes performing a musical medley. 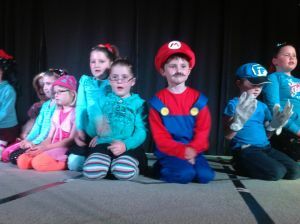 The theme of the year pictured below was Hollywood Blockbusters.